Infrequent, mostly small ash eruptions continue at Reventarod volcano. On 11 October, the volcano produced an ash plume that rose to an altitude of 4.6 km (15,000 ft) a.s.l. and drifted S.
Washington VAAC reported that a strong hotspot was present on satellite imagery during 1-3 April. Based on pilot reports, IG reported that a steam-and-gas plume with little ash content rose to an altitude of 6.1 km (20,000 ft) a.s.l. and drifted W on 3 April. 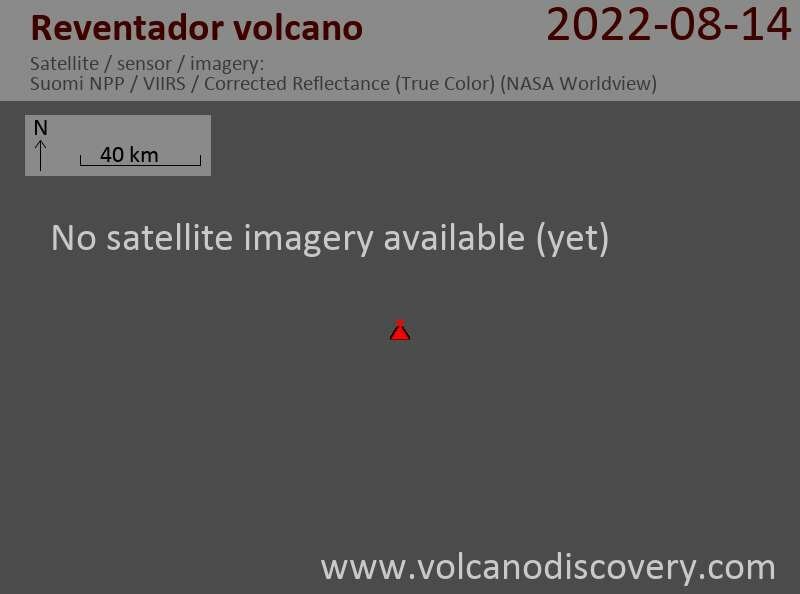 New activity has started at Reventador volcano. In early March, the number of tectonic earthquakes from Reventador had increased. During 8-22 March, steam-and-ash plumes rising to altitudes of 4 km (13,000 ft) a.s.l. were observed sporadically. On 21 March, noises were reported. The next day, seismic signals changed and indicated possible emissions. On 24 March, local people saw ash plumes and incandescent material near the crater and heard roaring noises. An explosion produced a plume that rose to an altitude of 6.6 km (21,700 ft) a.s.l. and drifted W. Based on reports from IG, the Washington VAAC reported an ash plume to altitudes of 3.7-7 km (12,000-23,000 ft) a.s.l. that drifted NE and WNW during 26-27 March. A thermal anomaly was present on satellite imagery during 24-27 March.